Wednesday Wrap: New Xbox One S consoles, Spotify Gaming playlists, DJ deck pizza box and more | What Hi-Fi? From the news that Microsoft is bringing two new storage versions of the Xbox One S to the UK, to Spotify creating a dedicated section for gaming playlists and The Man Who Fell to Earth soundtrack being released on vinyl for the first time - it's What Hi-Fi? 's Wednesday Wrap. 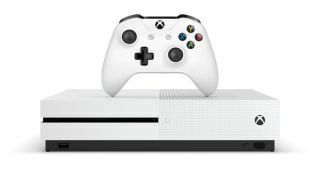 The Xbox One S 2TB version may have already landed in the UK and reportedly sold out, but Microsoft has now announced 500GB and 1TB versions of the console will land on 22nd September. Both consoles will also come with a free copy of Fifa 17 and a month’s free trial to EA Access. The 2TB version of the console is currently the cheapest 4K Ultra HD Blu-ray player on the market at £349, but the arrival of the new consoles will undercut that, with the 500GB version costing £249 and the 1TB £300. If you’re a Spotify subscriber and like your gaming then Spotify’s new section should be of interest. The new gaming section compiles original gaming soundtracks along with playlists curated by Spotify staff and community members. Find out whether your favourite soundtrack is included by visiting the Spotify Gaming website. Spotify has released a number of new features in recent months in a bid to rival other streaming services such as Apple Music and Tidal. These include the Release Radar playlist, AM:PM and Secret Genius interviews. To commemorate the 40th anniversary of the film The Man Who Fell to Earth, starring David Bowie, the soundtrack is to be released on vinyl for the first time. The soundtrack has long been sought-after but, so the story goes, the “lost tapes” have been unearthed recently, meaning the recordings can be remastered. The soundtrack will comprise a gatefold double LP and is expected to be released on 18th November - you can pre-order a limited edition box-set copy here. The film is set to be re-released in UK cinemas on 9th September. Pizza Hut has teamed up with printed electronics specialist Novalia to produce five pizza boxes with twin DJ decks printed on them. As you do. Aiptek has announced the i70 MobileCinema compact projector that can project an image up to 80in in size from a smartphone. You can stream to the i70 via wi-fi or mini HDMI and it has a built-in rechargeable battery and stereo speakers. It’s available now from Amazon for £250.